FORTY THREE: Banana pancakes. – Folks, whack 'em. 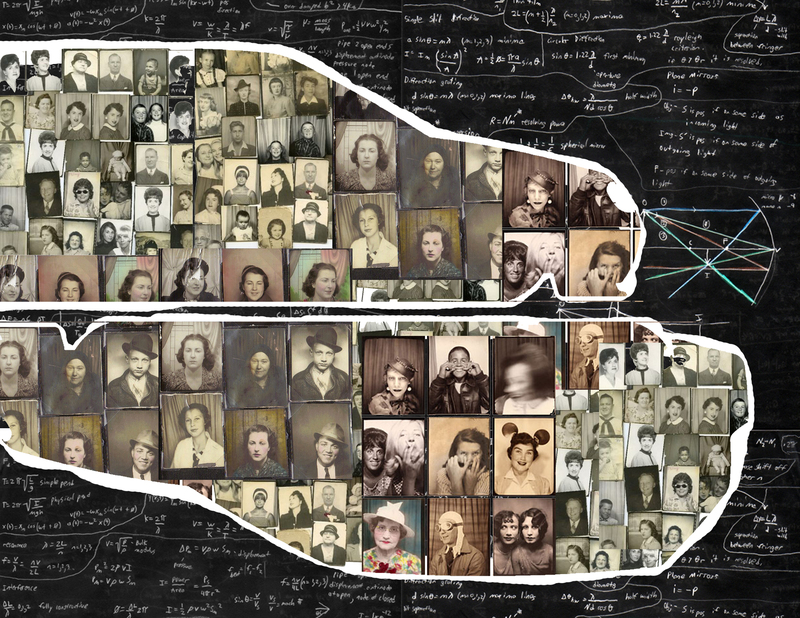 One of the directives we can use for this project is to explore the concept of absurdity. I browsed through my handbook, the Creative Block and two of the artists caught my eyes – one is Jesse Draxler and the second one is Arian Behzadi. Both of them have their own unique abstract art that doesn’t make any sense (hence, the absurdity) but it’s so powerful, it’ll connect to you as soon as you look at it and you can interpret it however you want it. I combined their two styles and created this ridiculousness. Totally illogical I know, but I tried to connect with the brand and highlight their aspects as well. One of his many inventions was the TV Glasses and it was pretty innovative. 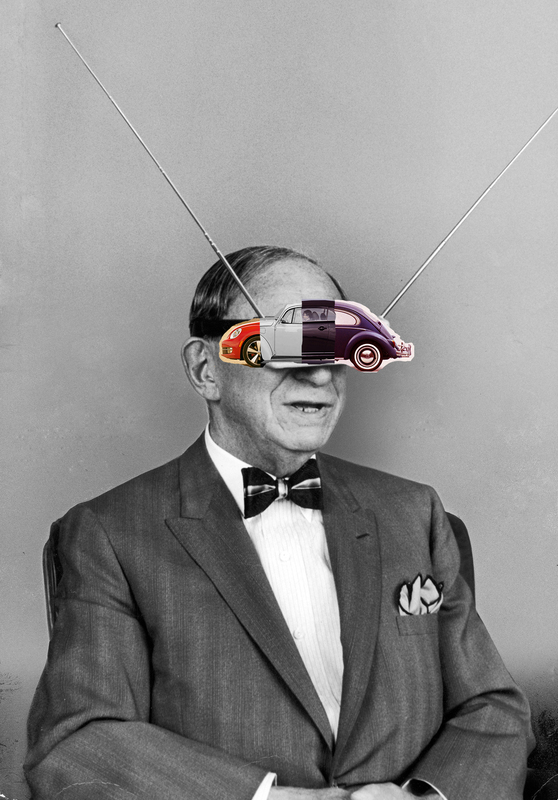 Instead of a TV Glasses, I replaced it with a collage of Volkswagen Beetle over the years that I made from a previous post. This is to highlight the innovativeness that Gernsback could see from the past. I first created the outline of 2015 Volkswagen Golf, fill them up with a vintage photographs from the 20’s or 30’s, gave them a little frame and replace the background with the chalkboard image. Still doesn’t make any sense, but I used all conventional elements here (such as chalkboard and vintage photographs) and have the Golf be the outline. This could be an illustration of enduring value, as the conventional and old-fashioned elements fused and outlined by a new technology. Something that will last forever. One of the first selfies. 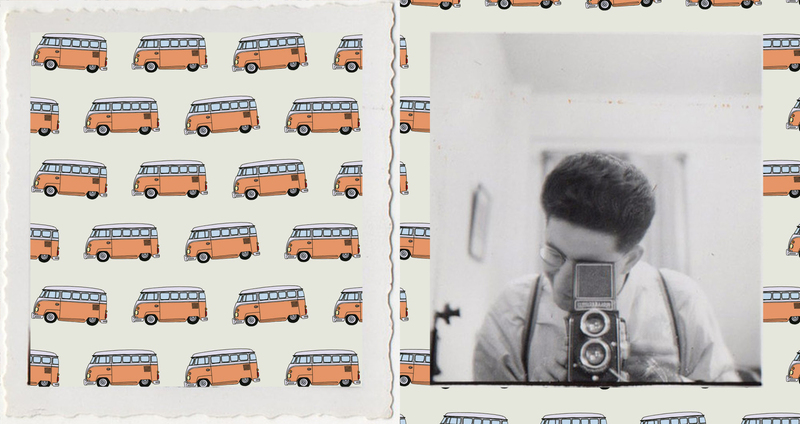 I made this guy’s selfie and initially, was going to make a polaroid-like frame with the Volkswagen Type II but then I decided to edit it like this. Why? I don’t know, just being absurd. It could be related to the everyday motoring pleasure since it’s become a normal thing nowadays to take an image of yourself. I named this post ‘Banana Pancakes’ because it doesn’t make any sense and it makes me happy. Being totally random and absurd actually makes me happy. It releases a weird good vibe and I’m satisfied with it.